I have days when I beat myself up for not recording more of our memories with Cora. Not the big things like statistics and milestones, but the little details...the funny stories, the daily routines, the everyday. As I cried about all the things that I had already forgotten, a sweet friend recently encouraged me to write down memories as they come to mind. So that is what I have been trying to do. Cora's first Christmas was busy with lots of celebrations and lots of traveling. It seemed like a little "much" at the time, but looking back I am so thankful that all of our family got to spend time with Cora, some even for the first and only time. We celebrated Christmas on New Years Day with my family. My parents got Cora a Chicco activity table. It had a piano on one side and then you could flip it over and it was a lego table. The only picture I got of her was when she opened it with her daddy. She LOVED it. I am pretty sure it was her favorite toy. I remember Cora was feeling yucky that day. Which is the reason we have so few pictures. She wasn't too interested in smiling for the camera. She pretty much only wanted to sit on my lap. That afternoon when we went home Cora and I went into the house and Joel started unloading all of our gifts. Joel brought Cora's new activity table into the house and you should have seen her face. Her eyes got so big and she let out this loud shriek. It was like she was saying, "Wow, I actually get to bring that toy home!" It was so cute and we laughed and laughed at her. Every morning after she would eat breakfast, she would go straight for the piano. She loved standing up and pushing all the buttons. She would carefully walk around the piano to the coffee table and then back to the piano again. She loved the music and the noises. She would rock back and forth to the music. I was envisioning a future pianist. When we checked into the hospital our families asked if they could bring any toys for Cora to keep her busy while we waited for surgery. We had them bring her piano and once again she thought it was so great. My heart aches looking at this picture. I long to spend just a few more minutes with that happy little girl who seemed to have no idea how sick she was. And I wonder what was going on in my head as I sat there with Cora. I remember being so tired and fighting back tears all day, but trying to be strong at the same time. I had no idea how my life would soon be changed forever. It was hard to pull that little piano out again, but we had a feeling it might be a favorite of Levi's as well. He is almost the exact same age right now as Cora was when she first opened this toy. We were right. He loves it too. Just like his sister. But instead of delicately walking all around it and rocking back and forth to the music, he has found a whole new purpose for the piano. Levi pushes this thing all over the house often dragging lots of toys along with him. Instead of making music it is often crashing into walls as he maneuvers around the house. I love that Cora and Levi have the same favorite toy. I am thankful for these sweet reminders. 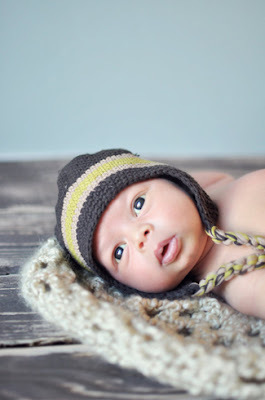 I deleted some of the original e-mails that were sent to me about making a hat for Levi. Oops! 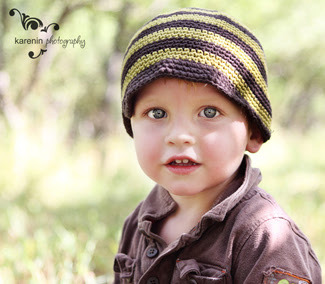 If you are still wanting to make Levi a hat, knowing that some will be donated, please send me another e-mail. Thanks to those of you who have already contacted me. 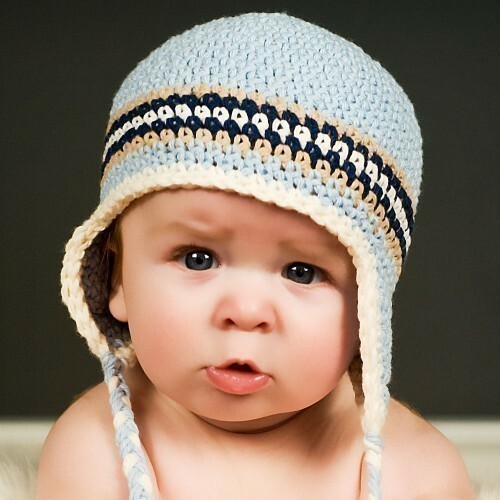 I am thinking that I might need to have Levi try on all the hats for you before we take them to the oncologist! 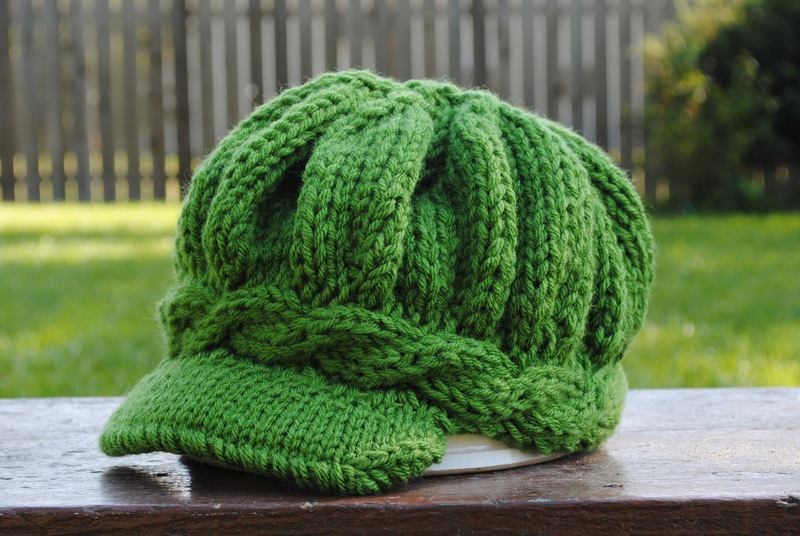 So, I was completely overwhelmed by the number of people who left comments and e-mailed me offering to make Levi a hat. You all are too sweet. But I wasn't sure what to do because my little man probably doesn't need 20 hats this winter. Seriously, I had over twenty offers...crazy! And I had no idea how to pick one, which is why if you e-mailed me I haven't responded...I have been putting it off because I didn't know what to do. I thought about just telling everyone that I can't take any of the hats...that I was just going to buy one. But, I hated the idea of telling you all no when you are just trying to love on my Levi. So, I came up with an idea. 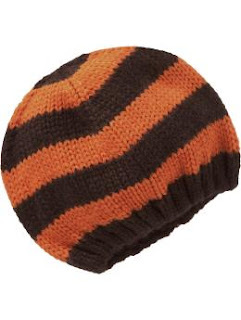 If you left a comment or sent an e-mail, I would love for you to send Levi a hat. We will keep a few for him to wear this winter and the rest we will donate to the Pediatric Oncologist that Cora received her treatments from. Since Levi doesn't need a new hat everyday, I would love to pass on your kindness and bless another little boy who is facing the horrible reality of cancer. And it is something Levi and I can do in honor of his sister. If you would still like to send Levi a hat, knowing that most of the hats will be donated, please e-mail me at contactthemacs@yahoo.com and I will let you know where to send them. Live each day knowing all of the Gospel is true. useful and joyful in Jesus. and this is the day to be satisfied in Him. I listened to this quote over and over this weekend as my church presented the story of Hannah's Hope. Over and over I was reminded of how life changing Jesus is. Over and over I was reminded of the incredible HOPE that can only be found in Him. And over and over I was burdened for those who don't know true HOPE. I am praying that these words would be true in my own life. I am praying that today I would be determined to be useful and joyful in Jesus. That today I would be completely satisfied in Him. Levi and I are just hanging out today. Soaking up some time together before a busy weekend. doesn't even want to sleep. He is fighting is naps like crazy today! Hope the weekend brings lots of smiles to your face. If I do, I find you in crazy places. How did you get in there little man? I love it when you are learning something about God and everywhere you go He seems to remind you of that specific truth. I have been attending Bible Study Fellowship this year and I am absolutely loving it. My head sometimes feels like it is going to burst because I am learning so much. We are studying Isaiah and this past week we were learning about the holiness and glory of the Lord. Isaiah saw a vision of the Lord. He saw a God who is like no other. I walked away challenged to ask myself this question: Do I have a vision of the Lord? If I do, it will change my life. I couldn't get that out of my head. I want to have a vision of the Lord. I want my life to be changed by Him. How do I get there? Then last night Joel and I were at church for the dress rehearsal for Judgement House. We have been a part of this ministry for the last three years, but this year the story became very personal to us. In fact it wasn't just a story. As we watched the drama last night we felt every emotion. We had been the parents standing outside the hospital room when the doctor said there was nothing else he could do for their daughter. She wasn't going to make it. For us, it was real life. This year our Judgement House script is Hannah's Hope. It is the true story of a teenage girl who lost her six month battle with cancer. But Hannah and her family did not fall into despair when facing death. Their testimony of faith and unwavering hope in Jesus through their storm is amazing. I am so challenged by this young girl's strength and by her parent's continued trust in the Lord. Hannah has left behind an incredible legacy and her story continues to reach so many. This year her story is even reaching Newton, Kansas. ...You know Lord, I have heard it said many times - even this week - that so much fruit has come from Hannah’s journey. In the deepest recesses of this mother’s heart, I pray we have not seen anything yet. As I stood at her grave yesterday morning after sharing with a middle school FCA, I asked you again to bring forth much fruit from this kernel of wheat that has fallen into the ground and died. When we stop missing Hannah every day and thinking about her all the time, perhaps I will stop asking You to bring forth fruit from her life. No, don’t count on it. We want every single bit of fruit You desire to bring forth and for as long as we have breath in our bodies we will continue to ask. We ask it not only through Hannah’s life but through the lives of her brothers - whose cost has also been high. I loved that she said, "I saw you too, Lord - the year Hannah died." And I saw the Lord too - the year Cora died. The Lord has changed me and I echo Deb's words, I never want to be the same again. I never want to go back to life as usual - I never want to settle for less than all You have for me. I too pray that as long as I have breath I would be faithful to use Cora's story for His glory, that I wouldn't stop asking Him to bring forth the fruit that He desires from her short little life. I may not have physically seen God, but through Cora's death I have seen aspects of His in His Word and in His works...and I am forever changed. I hate that Cora died, but I love that He is changing me and using Cora's life to change the lives of people around me. I am praying as Judgement House approaches this week that the Lord will continue to use Hannah's story to draw people to Himself. That many will come to understand true HOPE that can only be found in Jesus. with Dad on a Friday afternoon. At least there is nothing better if you are a little boy. so we went out to visit him. Levi played in the dirt for a while until the combine drove up. Playing in the dirt was pretty awesome too. But when we climbed into the combine Levi was in heaven. He sat still like this for almost twenty minutes. He did occasionally look back at us and smile. and he was back to his old self. He thought it was pretty great to drive with dad too. He told his dad how awesome his combine was. And then he tried to take over. that Levi and Joel will have together. Remember this cute knit hat from last winter? It was a handmade gift. But now it is too small for Mr. Levi's head. So, I am on the hunt for a new hat for Levi. Not that it is cold here...it is just beginning to feel a little fall-ish. But soon I will need to help Mr. Levi keep his head warm. I love this one from Old Navy. They used to have it in blue too. But I can't find it on-line or in the stores anymore in the right size. So, I am turning to you for help. 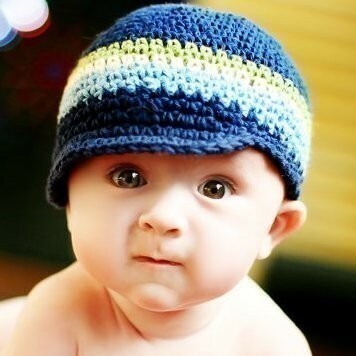 Where can I find a cute beanie for Levi? I would love to find a handmade one. Levi had his first trip to the pumpkin patch. Joel's cousins were here visiting so we all spent the morning at the pumpkin patch together. We spent lots of time at the slide. I think it was the favorite. Levi spent most of the morning in the stroller with his cousin Heath. He wanted to get down, but he was too little to do anything. Until we found the train. Levi could have spent all day in here. even though the train wasn't running that day. By the end of the morning someone was ready for a nap. You only can have so much fun in one day! which always makes it a good weekend. but otherwise we didn't have much planned. It was great to just be together. That is definitely my favorite kind of weekend. Levi and I took a little trip to the "big city"
to eat lunch with her at work. it still is a special day even without a picture. So instead I dug up some old pictures. This is one of my favorite pictures of Cora and Anne. Levi and Anne are becoming pretty tight too. At lunch today Levi was really making his Aunt Anne laugh. He thought he was pretty funny. Anne is such a great aunt. I love that she loves my kids. but now she is one of my best friends. I am so excited to tell you that I am guest blogging over at Under the Sycamore today. Ashley's blog is definitely one of my favorites. I love her heart. Her love for her family and for people shines through in every post. She is a fabulous mom of three boys and a baby girl. I am trying to soak up all I can about being a mom to boys from her. So far it seems to me that there is a lot of dirt and legos involved. I'm okay with that. Did I mention she is a fantastic photographer? I love how she captures the everyday moments with her kids, even the mundane moments. Ashley asked me to write a post as part of her 10 in 10 series that she is doing this month. I wrote a little post about how Levi is my helper. And he is in so many ways. Here is a sneak peek. You'll have to go over to Under the Sycamore to check it out. Thanks for having me Ashley! This morning I am sharing my story with a MOPS group in Wichita. I am really excited for the opportunity to share with these women, but of course am feeling a little nervous again. I am praying that these women would not just hear my story, but they would understand God's truth in a new way. Would you pray for me this morning? I am so thankful that when I am weak, He is strong. At nine months you are BUSY. and now you can pull yourself up on anything. Nothing is out of your reach anymore. which is forcing me to vacuum a little more frequently. I have become a pro at digging things out of those cheeks of yours. You scoot ahead using one foot and kind of drag the other leg behind. It works because you can get yourself across the room pretty fast. You talk and pound your hands a lot. Dada and Mama are your favorite words to say. You love to play and make people laugh. which often leads to a bump or bruise. You are a busy boy. and you keep your mama on her toes. I love that my days are busy because of you.